Glitz Design: "Get Your Glitz On" Challenge Closing Soon! 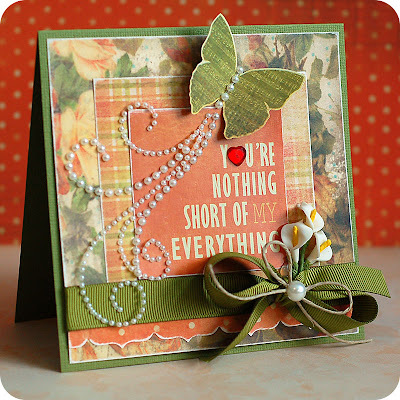 "Get Your Glitz On" Challenge Closing Soon! Don't forget that you there is also a prize up for grabs!!! I have created this card using the product that you could win!! That's right!! You would win the new "Laced with Grace" collection by just participating in the challenge!! There are already a ton of fabulous entrants, and we thank you SO much for participating!! Wow!!!! So much Glitz Goodness!! I am totally inspired! Thanks everyone!